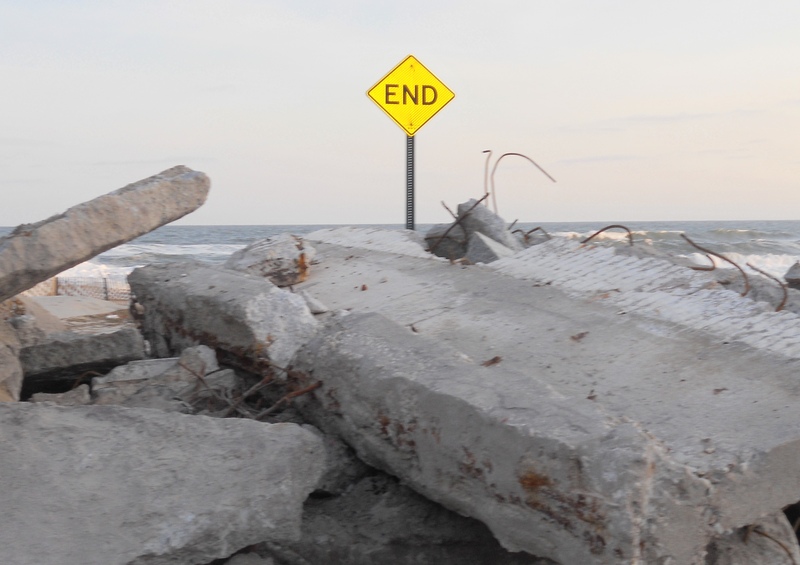 There’s an old expression: “all good things must come to an end.” Oy Vey Rockaway, too. I am bidding adieu to my five-year-old blog on the third anniversary of Superstorm Sandy, which was such a monumental event in my life, and the lives of most Rockawayites. 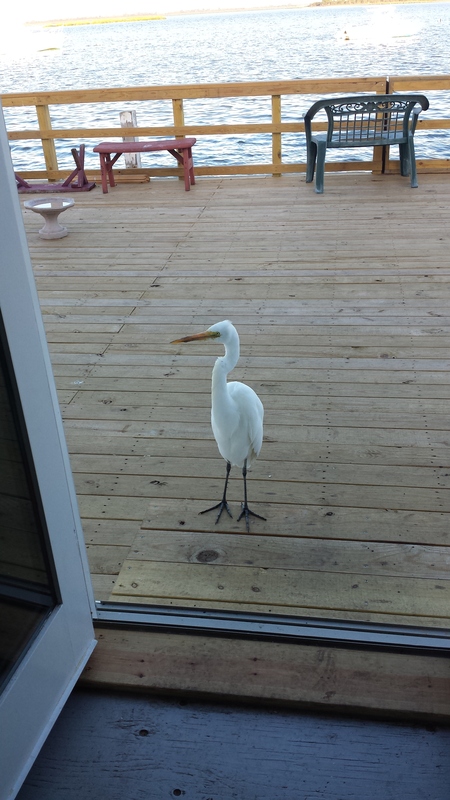 Although I am still a Belle Harbor property owner, I’m no longer on the peninsula full-time. I come here for work engagements and social events a few times a month, but it’s very hard for me to keep up with local news and events well enough to provide intelligent commentary. In the future, I will write on this website about culture, tourism, and recreation around the five boroughs. 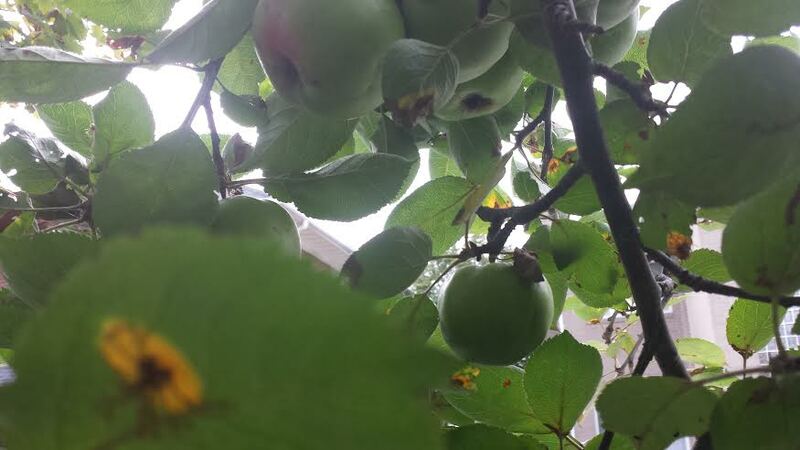 Apple of Viv is the new name of my website. I hope you will continue to visit and enjoy the photos and stories I will be posting, soon. The overwhelming support I received from friends and neighbors made it possible for me to write Images of America: Rockaway Beach, and to personally sell 700 copies of the book (plus the copies sold online and in bookstores). This success helped launch me into leading historical tours, a true passion of mine, these days. 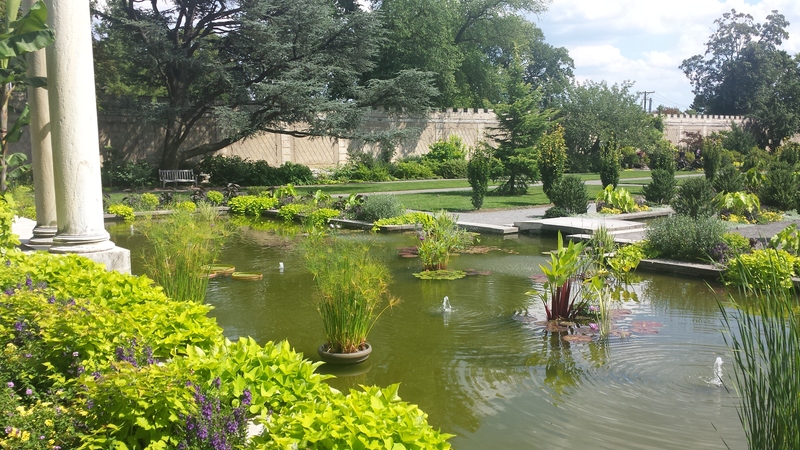 In April 2015, I became a licensed New York City sightseeing guide (with a star), and have recently been broadening my research interests beyond the Rock, to other fascinating neighborhoods of Queens (including Jamaica, Flushing, and Broad Channel) and The Bronx (primarily the Norwood and Woodlawn sections). The stories of the pioneers of the outer boroughs continue to fascinate me. For the past year, I have been leading walking tours; writing stories on culture, tourism and recreation for an award-winning Bronx non-profit newspaper, Norwood News; selling advertising; and teaching design workshops, all across Brooklyn and Queens, to the upper reaches of Manhattan, the Bronx and Westchester County. Some days I drive 70 miles round-trip across the city, to do a one-hour after-school program or a two-hour walking tour. Most days I long to be riding in a helicopter instead of a Honda Civic Hybrid, but I love all of the interesting and important work I do. 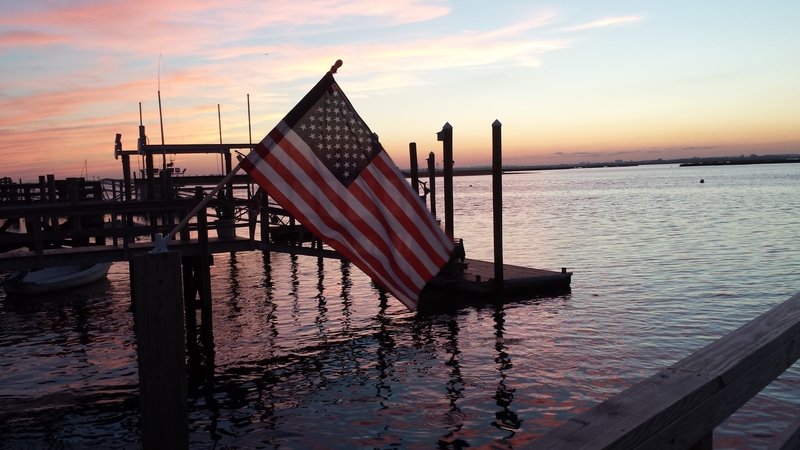 Lately, I often miss the peaceful isolation of life in Rockaway during the off-season. But I’m fine without the turf wars, the transit battles, and the phony “local leaders.” Digging more into the history of the peninsula takes me backward, which is how I can contribute my best efforts toward improving its future. Text copyright 2015 Vivian R. Carter. Beach wall photo copyright 2013 Vivian R. Carter. Header and cemetery photo copyright 2011 Vivian R. Carter. All other photos copyright 2015 Vivian R. Carter. 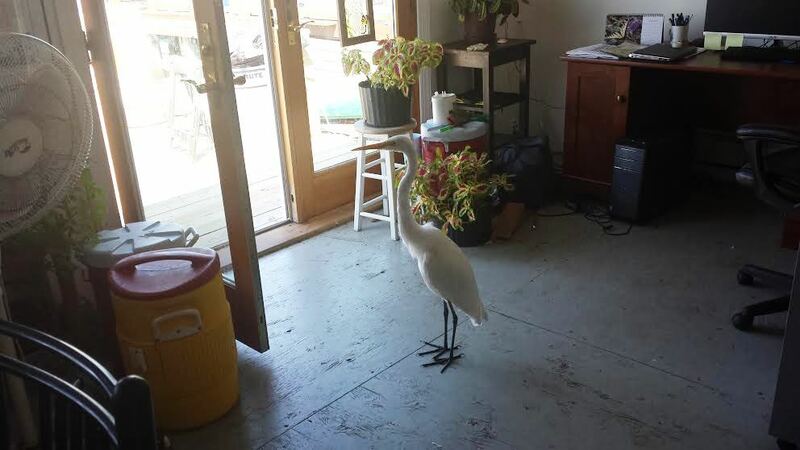 Over the years, I have repeatedly expressed my admiration for the community of Broad Channel, a picturesque village perched on three land masses in the middle of Jamaica Bay–Big Egg Marsh, Rulers Bar Hassock and Black Wall Marsh. Until the train line’s arrival in 1881, you could only get there by boat, and it was another 44 years before roadways connected Broad Channel to the mainland. Although I have never lived there, I have spent a lot of time visiting friends and fellow environmental activists who do, over the past decade. Several local businesses became my regular advertising customers when I worked for The Wave, so I learned a lot about that quirky little place. The village is a study in contrasts. Majestic ospreys nest in the world-class Jamaica Bay Wildlife Refuge, and egrets can be seen wandering casually about on docks and in backyards along the bay. 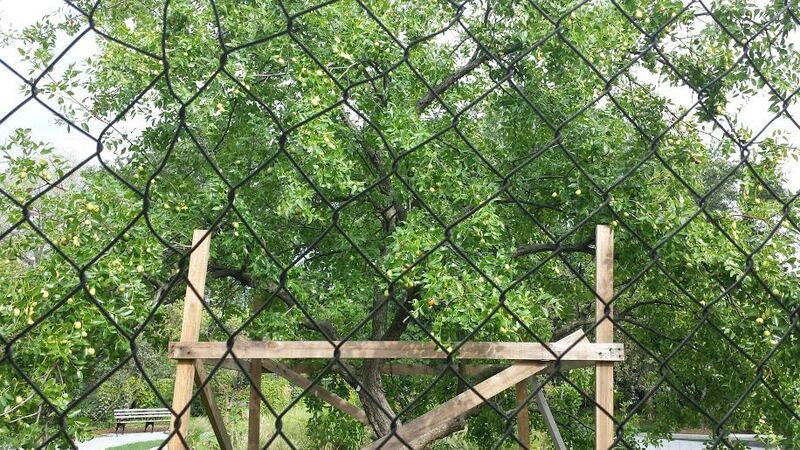 However, there are notable manmade eyesores, including the former site of Schmitt’s Marina on West 19th Road, now fenced in, as it is being cleaned up to create waterfront parkland. And you can’t miss the Cross Bay Boulevard headquarters of Call-A-Head, one of NYC’s largest portable toilet operations, which occasionally draws criticism for blocking bike lanes with its vehicles, but seemingly, not much else. Surely it must be the community’s largest employer. You’ll see the porta-potty operation northwest of the entrance to the wildlife refuge. 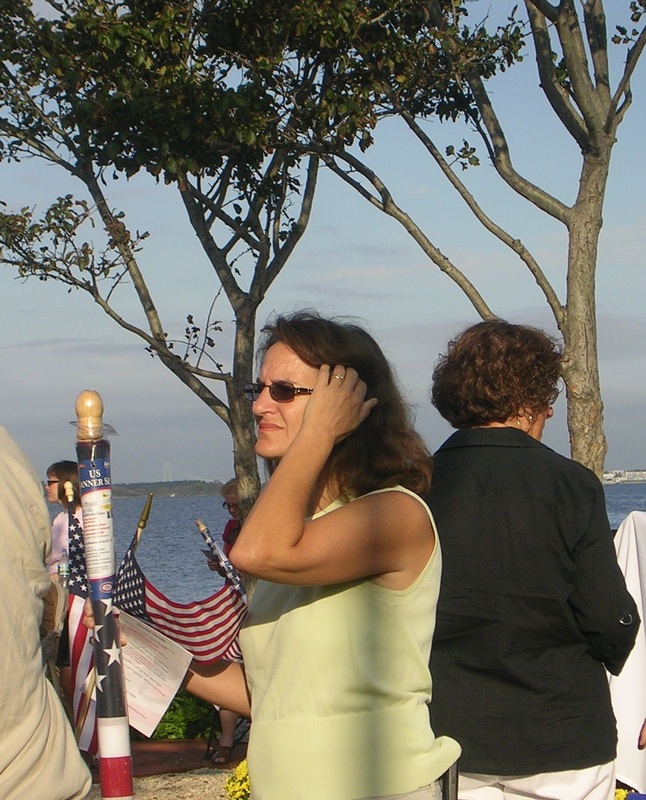 The neighborhood is home to a few thousand patriotic middle-class residents who vote and attend civic meetings regularly, and love to parade down their main street (that would be Cross Bay Boulevard) to honor veterans, volunteer firefighters, old traditions and Old Glory. Yet most locals of the 100-year old community did not own their land or homes until the 1980’s. 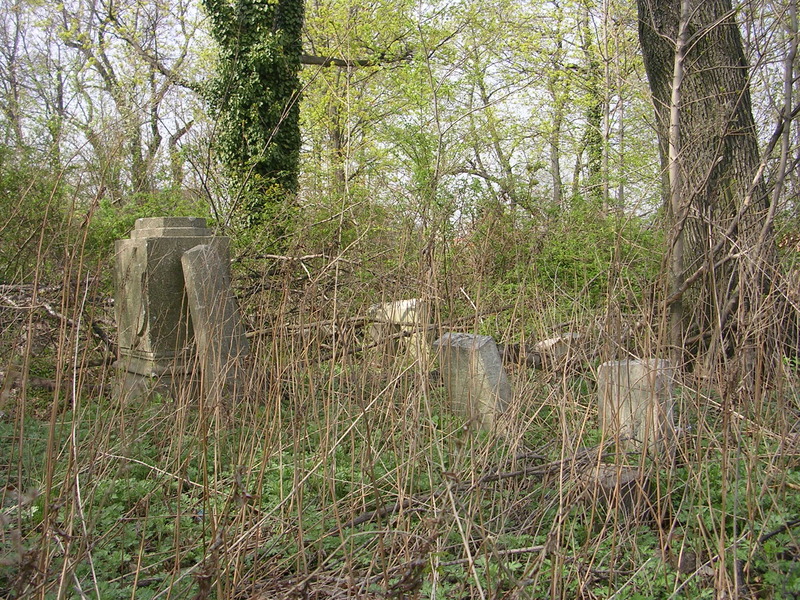 The remote community was a hotbed of bootlegging and speakeasies during the Prohibition era in the 1920’s and 1930’s, and squatters once occupied marsh islands like Ruffle Bar and Goose Creek, until evicted by Robert Moses during construction of Jamaica Bay Wildlife Refuge in the 1950’s. 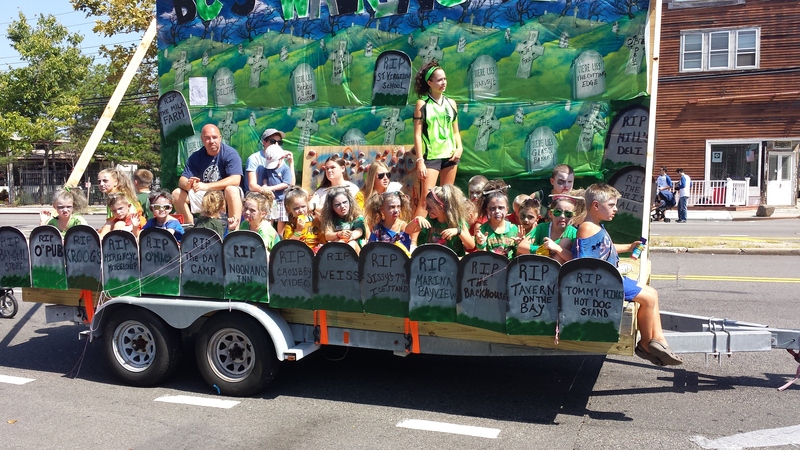 Text and parade float photo, copyright 2015 Vivian R. Carter. Remaining photos copyright 2014 Vivian R. Carter. Earlier this year, many in Rockaway were alarmed when one of the neighborhood’s oldest buildings, Schilling’s Roadhouse (later, The Irish Circle), at Beach 102nd Street and Rockaway Beach Boulevard, was put up for sale. Dating to 1893, the structure survived Superstorm Sandy, but there were rumors that it would be demolished. Well, the site was saved from the wrecking ball by new owners, Kelley Brooke and the Joseph family, who have renovated the space and reopened it as the Comm(Unity) House restaurant. The much-anticipated opening of the space has occurred. The usual maiden week kinks have been worked out, and the place now seems to be going strong. 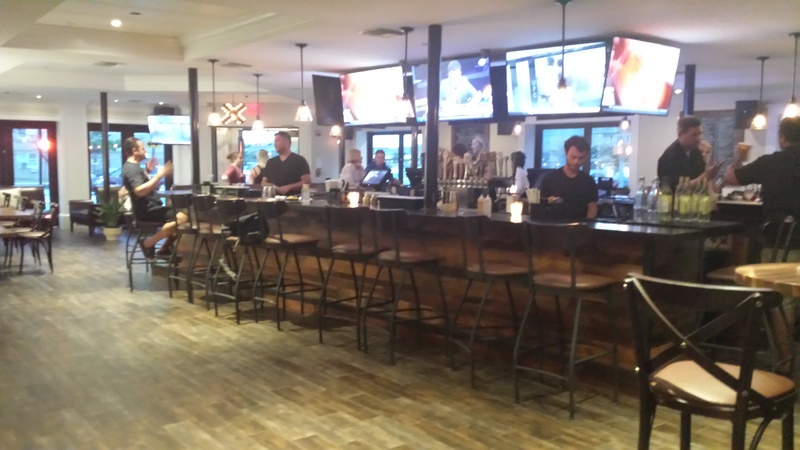 I visited on Monday, August 10, and was pleasantly surprised that the present owners created some striking new features, while keeping the best of what the Irish Circle formerly offered. When you walk in, the configuration of the front bar is the same, but the flooring and seating are more contemporary. Upholstered banquettes on the right look like a comfy place to snuggle up and share a drink with someone you love! Walking toward the back, the main dining room is larger, because the second bar, where Richie (RIP) ran things for years, is now outdoors. 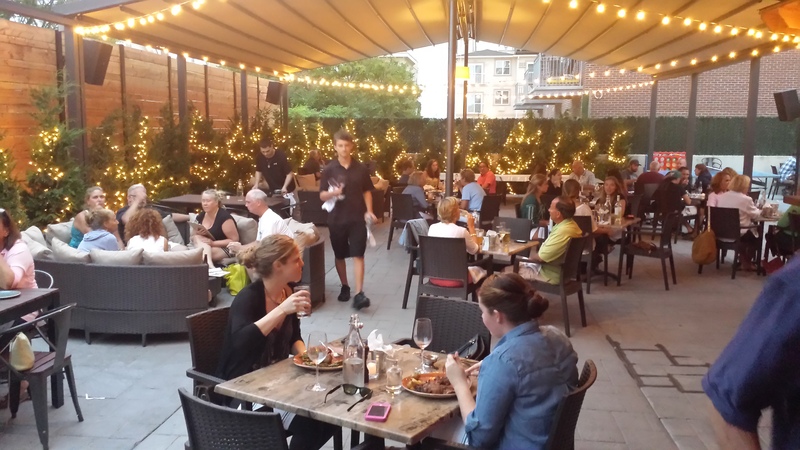 The outdoor patio where many teachers used to crowd in on the last day of school has been enlarged into a spacious bar area with equally large tables, more cushioned group seating sections and romantically soft evening lights. I make it a practice to avoid reading Yelp and Facebook reviews of restaurants I already know, as they are often ridiculous, even sometimes amusingly ridiculous! I was a regular at the Irish Circle in the first decade of the millennium, so being there again put me in nostalgia land, recalling friends from past and present, some of whom have died or moved away from NYC. Food was never the prime draw at the Circle for me–it was always a place to see friends and have a drink and a snack together. 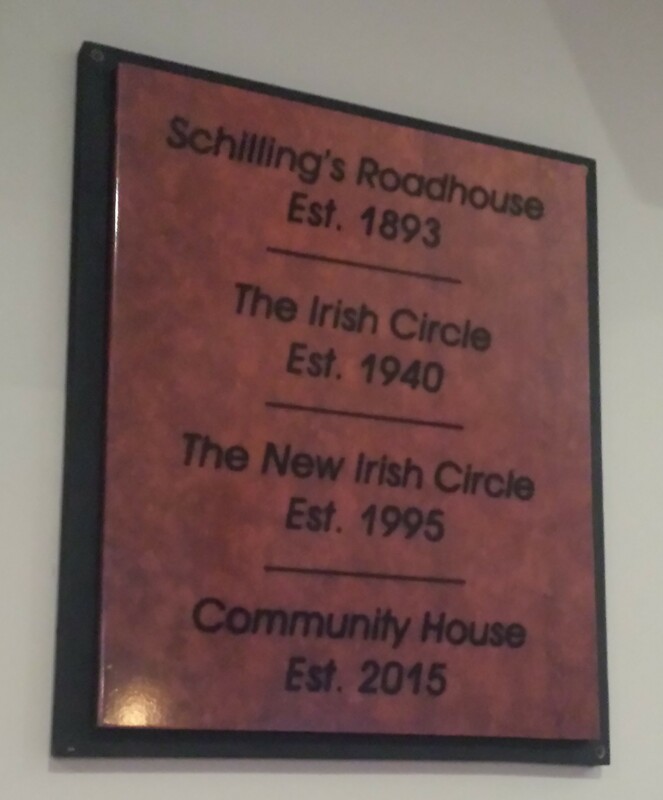 By the way, that was true from the beginning, when the place was called Schilling’s Roadhouse. I try to imagine the early 1900’s, when benefit card parties were held there to raise funds to build the Rockaway Beach Hospital, and the Rockaway Beach Founders Club met for dinner. 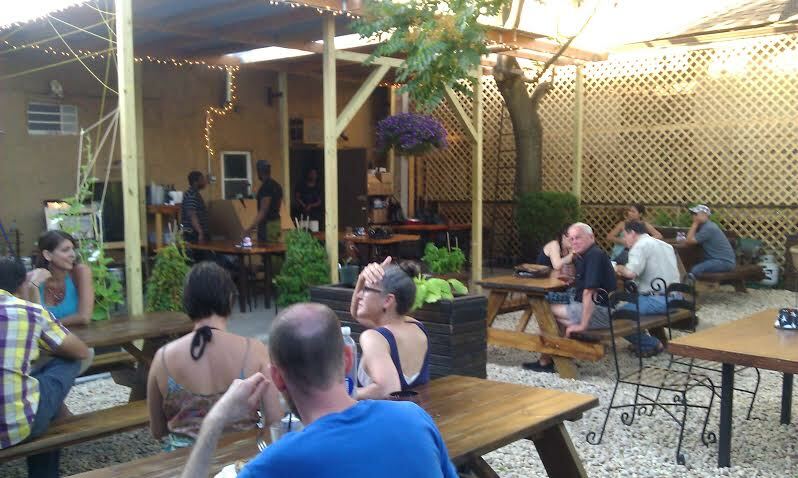 The space was a central neighborhood gathering spot. In light of that history, the choice of a new name for the restaurant–Comm(Unity) House–was inspired, in my opinion. After I stopped in, I heard comments from friends who had been there for the opening, and I think every problem with the food or service was pretty much smoothed out when I got there. My waiter (and the young woman shadowing him so she could learn), were fine. The food was excellent. THANKS for the hand-cut potato chips at the tables, which were always my favorite snack to order at the Circle. The grilled vegetable flatbread served on a wooden paddle was even better than the grilled veggie wrap that was my go-to Circle sandwich order. It’s more like a yummy mini-pizza. 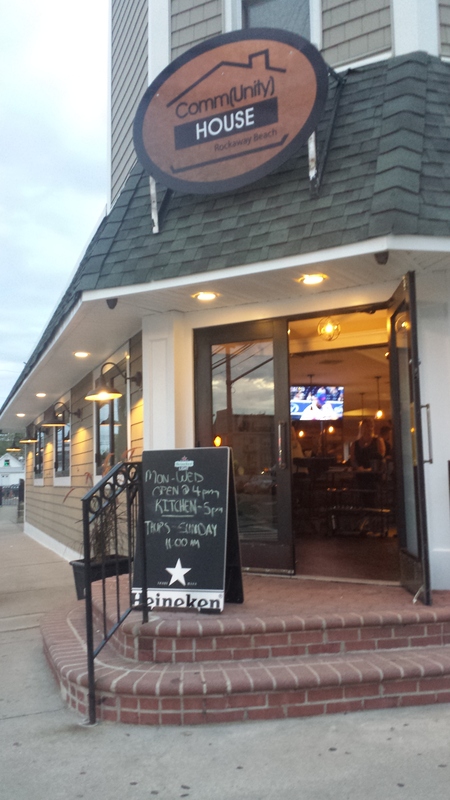 Congratulations, Kelley and company, on restoring and re-imagining this favorite space of Rockaway Beach. See you for live band karaoke on Sunday evenings! 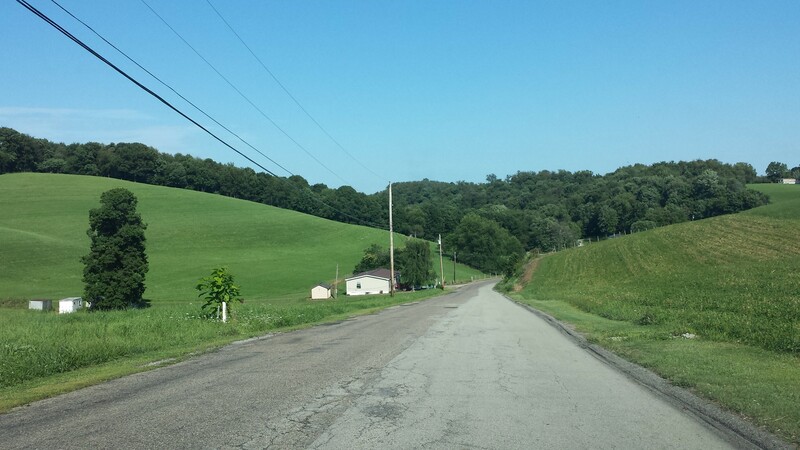 Text and photos copyright 2015 Vivian R. Carter. 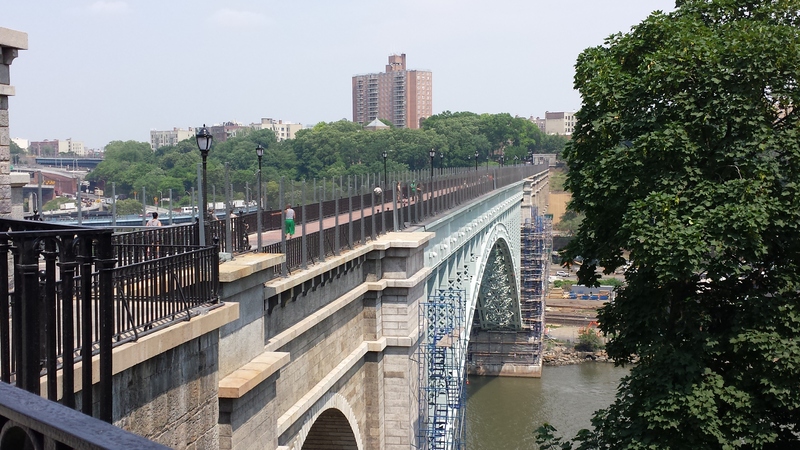 There’s a new alternative venue for strolling, people-watching and getting your “history buzz”–the High Bridge connecting Upper Manhattan to the Bronx has been re-opened for the first time in over 40 years! What a nice jaunt it is to cross the narrow Harlem River like Edgar Allan Poe did, over the oldest standing bridge in NYC, first opened to carry water supply pipes into the city in 1848. It has been said that Poe frequently hiked from his cottage near the Fordham University Rose Hill campus, crossing into Manhattan over the span. High Bridge Water Tower and the surrounding Highbridge park still provide a sylvan setting on the New York County side of the crossing, as they did when the bridge first opened. The Bronx County side is now, unfortunately, endowed with views of the Major Deegan Expressway and the Metro North tracks. So the “river views” are not nearly as dramatic or pristine as those you get on the Walkway Over the Hudson near Poughkeepsie. But anytime you can stand in a location within the five boroughs of NYC that hasn’t been open to the public since the 1960’s, it’s a rare treat. Knowing that the original water supply pipes for Manhattan are still ensconced under the walkway, makes it even more of a thrill for history buffs. 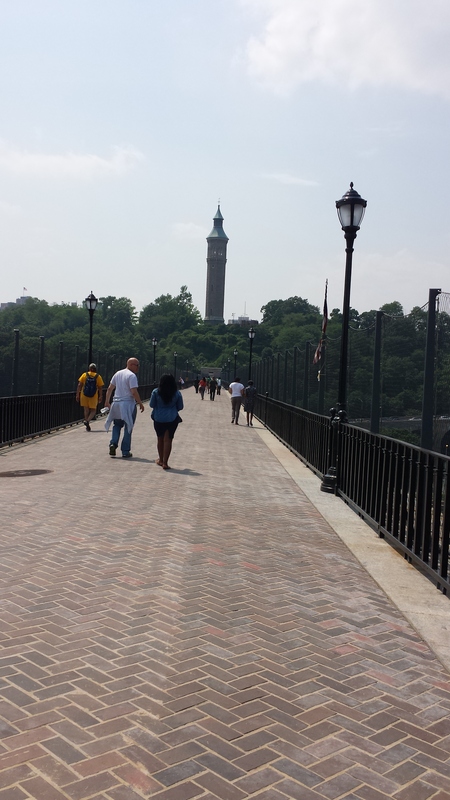 Renovation of the walkway over the bridge was completed in June, and a formal festival to celebrate its reopening will be held on Saturday, July 25, from noon to 4 pm. You can enter from the Manhattan side at Amsterdam Ave. and 173rd Street, or from University Ave. and 170th Street in the Bronx. 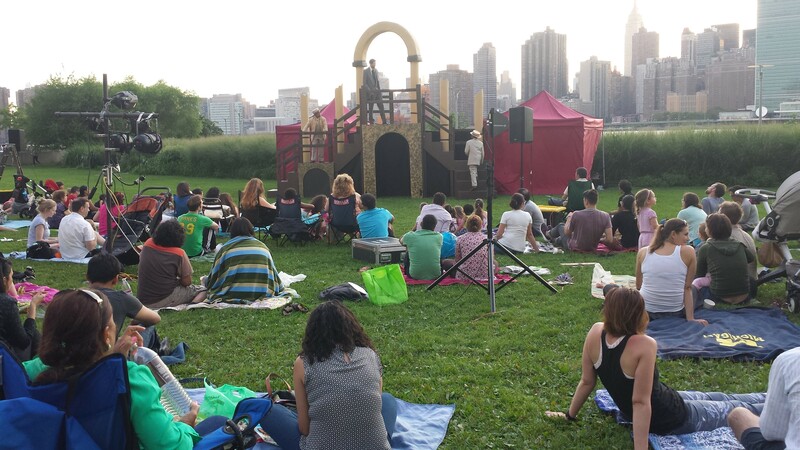 Children’s activities will include the City Parks Foundation’s Puppet Mobile and a Bridge Making Workshop presented by the Bronx Children’s Museum. 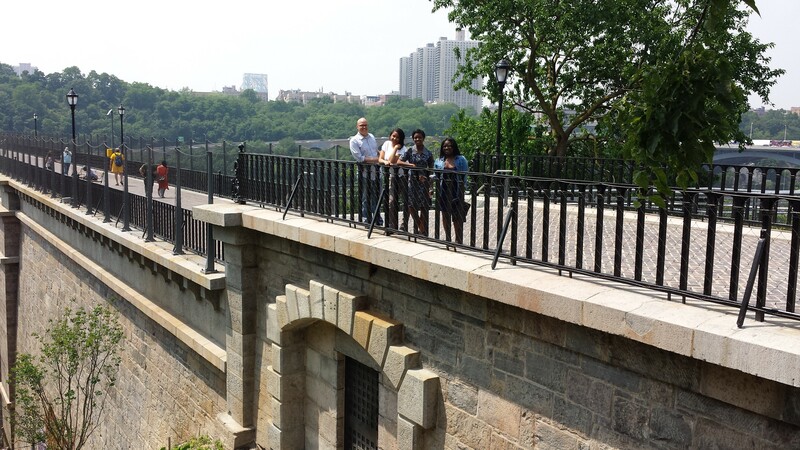 Bronx County Historical Society’s Angel Hernandez will lead a walk on the bridge and around neighborhood historic sites at 11 a.m. Purchase a ticket and get more information about High Bridge at http://www.bronxcountyhistoricalsociety.org. At 7 pm, a SummerStage concert on the Manhattan side of the bridge, featuring Jose Pena Suazo y La Banda Gorda will close out the day. If you can’t make it for the opening festival, the bridge is now open from 7 am to 8 pm daily. Bicycles and pedestrians are both welcome to visit. Speaking of bridges–and ways to instill in children an awe and appreciation of the city’s incredible quantity and variety of such structures–Arch for Kids will be leading a free bridge-building workshop at Brooklyn Public Library’s Ft. Hamilton Branch on Thursday, July 23, from 2-3:30 p.m. The library is located at 9424 Fourth Avenue, in southwest Brooklyn, 11209. Register for the program at http://www.bklynlibrary.org/calendar/bridges-new-york-archfork-fort-hamilton-library-072315. During the 90-minute session, children and their families/caretakers will choose one of NYC’s bridges–either a suspension, cable-stayed, lift, or swing bridge, and then create an accurate 3D paper and string model of it to take home. Arch for Kids, an outstanding group of educators I joined last year, plans the curriculum and provides materials and instruction for participants. The group conducts a diverse range of fascinating design projects with students throughout the metropolitan area, in public, private and charter schools, libraries and museums. Check out their website at http://www.archforkids.com. Join us to build bridges this Thursday! 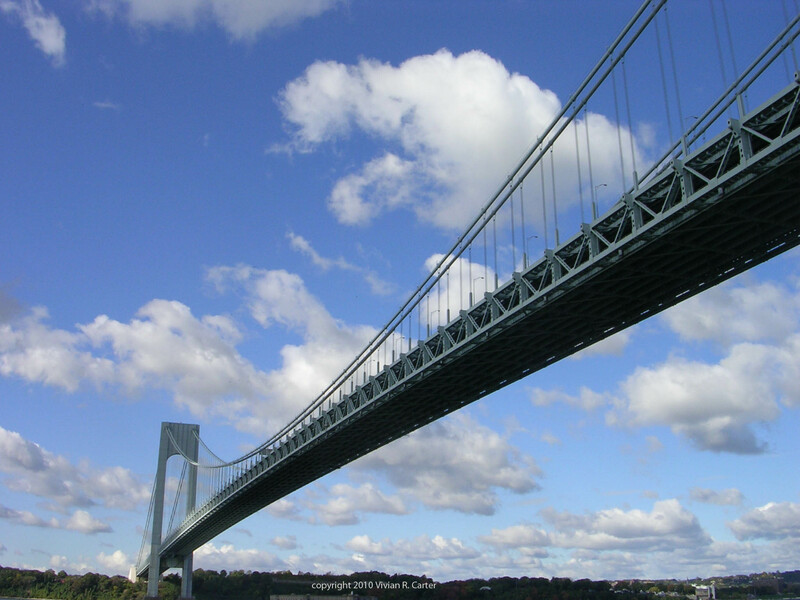 Text and photos copyright 2015 Vivian R. Carter, except photos of Marine Parkway Bridge and Verrazano Bridge (both copyright 2010 Vivian R. Carter). I did not know him as a midshipman, that dashing 20-year-old in dress whites whose image began flashing across the tv screen on the evening of May 13. I knew Justin Zemser as a very bright, gentle, well-liked sixth grader eight years ago, even then a leader among his peers at Channel View School for Research in Rockaway Park, where I was his science teacher. In a class with a curriculum focused on group explorations of the concepts of physical science, Justin was always prepared, consistently contributing his best efforts. I recall he was very close to his pal who also played in the Rockaway Ravens football league, Breland Archbold, whose father was in charge of that program. 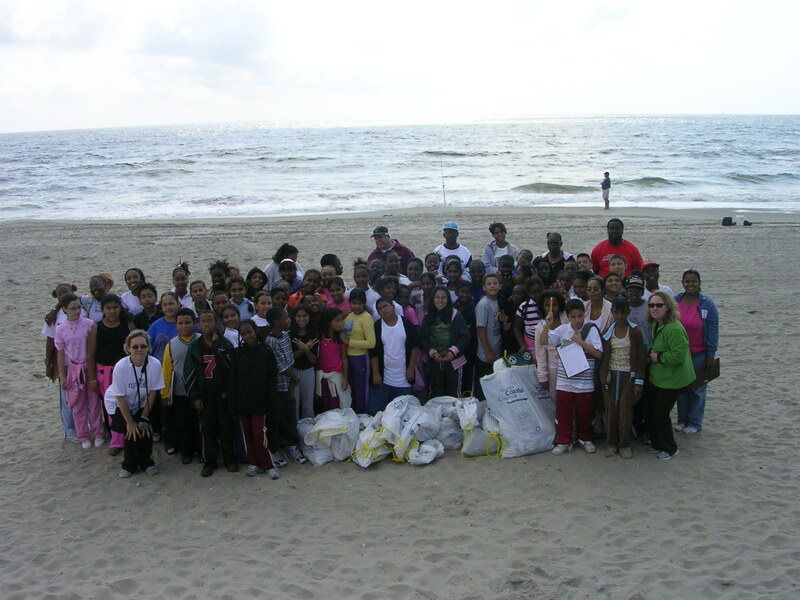 Sixth-graders after beach clean-up, Fall 2006. Justin Zemser’s in the gray t-shirt in front row. 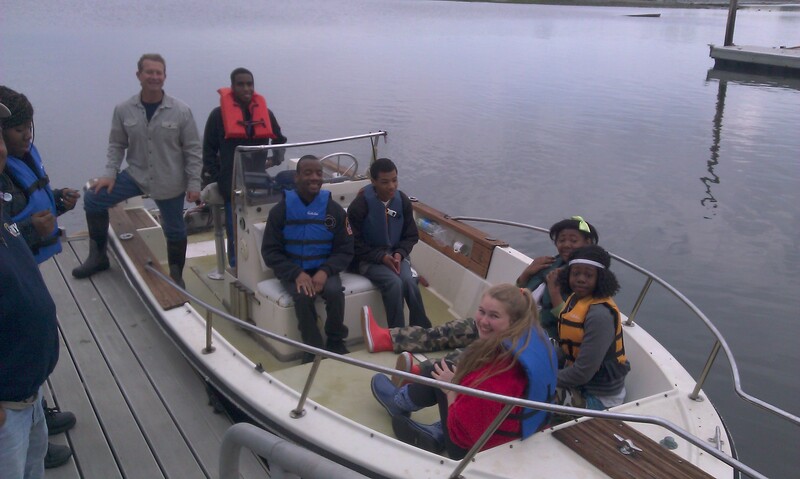 Channel View infuses Outward Bound design principles throughout its classrooms—speaking often of the importance of empathy and caring, collaboration and competition, diversity and inclusion, respect for the natural world and responsibility for learning. Another principle, service learning, is often phrased through the simple motto “we are crew, not passengers.” Justin exemplified those design principles in every way while a student at Channel View. He achieved the top academic honor of class valedictorian, while excelling in sports, student government, and community charitable activities. He was an Outward Bound paragon. Someone you’d want on your team if faced with a tough challenge. 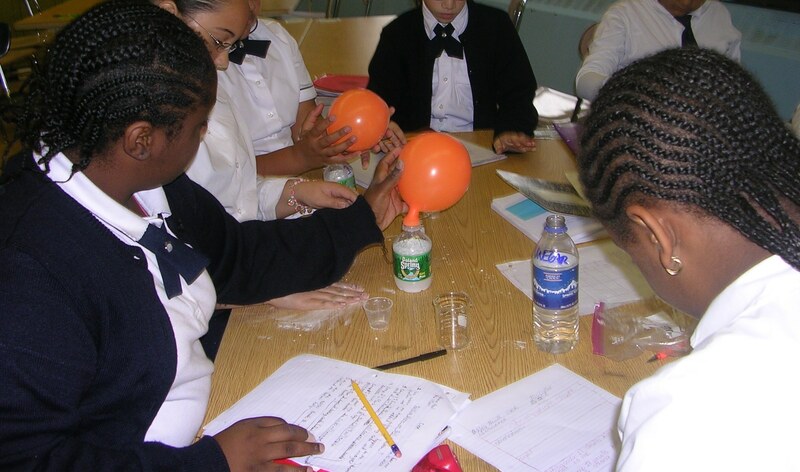 Justin was a stand-out in collaborative team science explorations like the one pictured, which his class conducted in Fall 2006. By March 2013, I was thrilled to read in the New York Daily News that Justin and his four closest friends from Channel View were on the path to college success, despite the obstacles placed in their way by Superstorm Sandy. Reading Clem Richardson’s story will break your heart, in light of recent events. 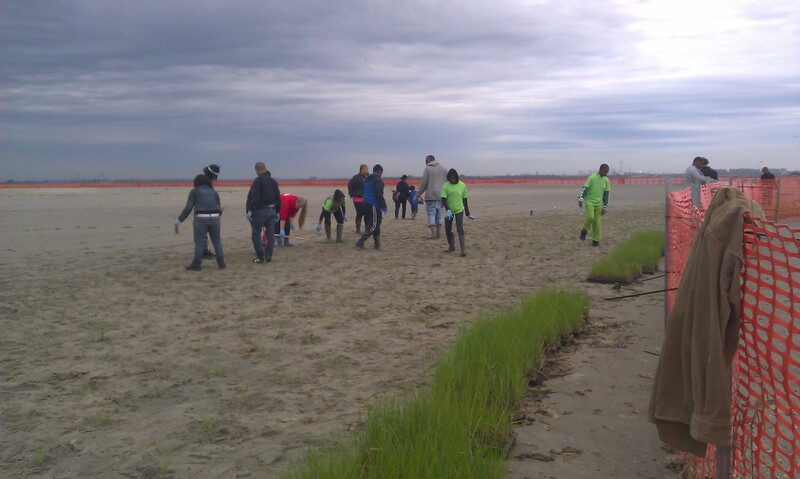 http://www.nydailynews.com/new-york/queens/city-beat-rockaway-teens-united-scholars-friends-article-1.1284548. All of Justin and his friends had competed in sports and the classroom, earning generous college scholarships. Justin wanted to be a Navy Seal and got his appointment to the U.S. Naval Academy at that time. His years of hard work were paying off. Utter shock and disbelief consumed me, on learning that Justin’s promising life came to an end in the twisted wreckage of the Amtrak train that crashed outside Philadelphia on the evening of May 12. Anger too, when the media reported that the black box taken from the crash site showed the train traveling at 106 mph (over twice the speed limit), obviously too fast to take a curve along the route. The 31-year-old engineer at the controls, with over 200 lives in his hands, apparently committed a huge lapse in judgment. Coincidentally, that young man was also from Queens, like Justin. 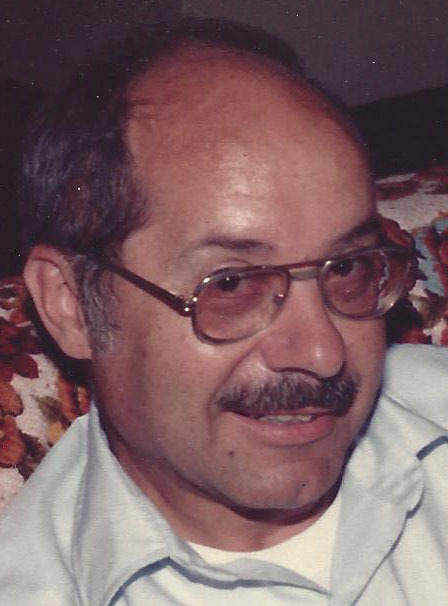 There is so much to say about a bright life snuffed out too soon, in what we often call “accidents.” Inquiring people always ask “why” and “how” did it turn out this way? The engineer lived, and Justin, probably just unlucky to have sat in the “wrong” car or on the “wrong” side of the train, is now gone. The National Transportation Safety Board says the derailment could have been prevented had an automatic safety system been in place on that portion of the line. It wasn’t. Instead, passengers had to rely on the skill and judgment of the engineer in control of the train, which appear to have been lacking. When any vehicle is being operated at more than twice the speed limit, and something goes wrong, why call it an “accident?” Call it what it is. It’s more like vehicular homicide. We all place so much faith in the bright lights like Justin. Until Tuesday, he was part of the promise of our future. We can’t allow their lives to be extinguished without responsibility or consequences. The Taste of Rockaway Beach event gets better with each repetition. Not just the food, but the fun vibe of it all–locals out for a beautiful Saturday stroll, mingling with brand new entrepreneurs at places like Rockaway Roasters–a new local alternative to Starbucks on Rockaway Beach Boulevard and Beach 93rd Street. Very, very cool! Thanks, Mother Nature, for the end of winter. Thanks to the great local businesses that are making this event a regular happening. What were your favorite treats? Mine included the eggplant caponata at Whit’s End, buffalo chicken lasagna at Surfside Bagels, curried vegetables at Thai Rock, grandma’s pizza at Elegante, and hot spinach-artichoke dip at Bungalow Bar. And it was a nice touch to add the mini servings of beer and soft drinks. Kudos to Thai Rock for having live entertainment. It was also special to be able to sit on the patio and drink in the late afternoon sun, along with the wine, at Sayra’s. If you consumed the equivalent of four meals in one afternoon (that’s what it felt like, to me), it’s time for another nice, long walk, to work some of it off. Please join us for Jane’s Walk this coming weekend in Rockaway. This year, I will guide two groups as we “walk, talk and gawk, on the Rock” (all in tribute to famed writer and planning critic, Jane Jacobs). 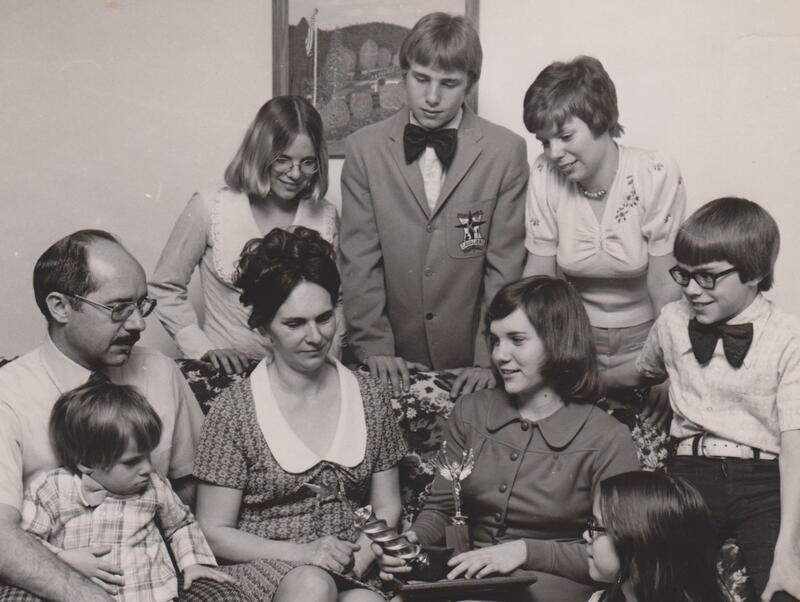 The event occurs around the world, annually, on the weekend before Mother’s Day. 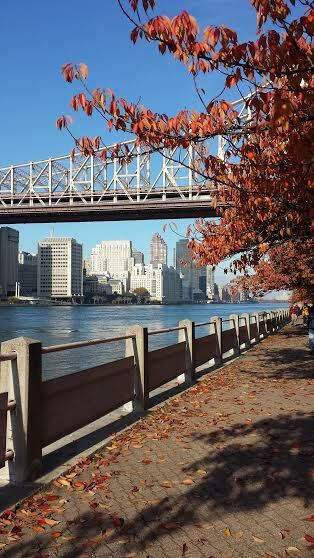 Anything can happen on a Jane’s Walk. 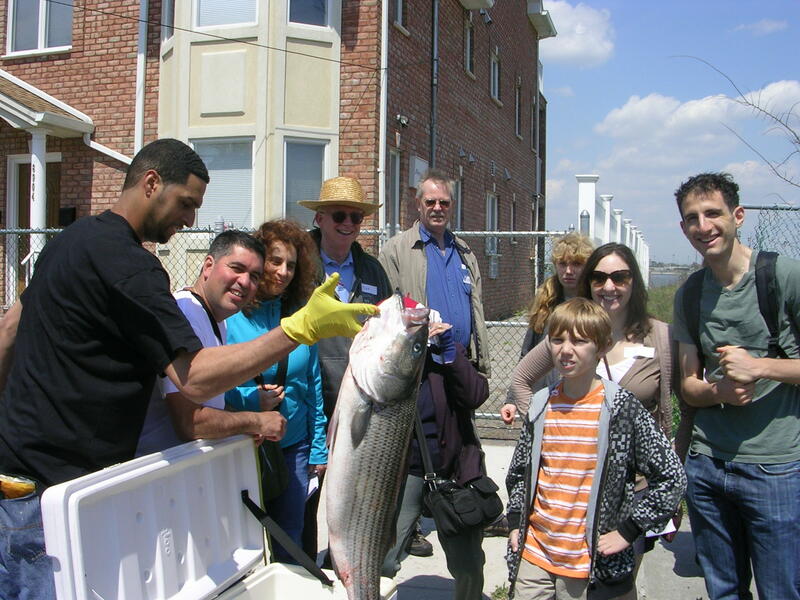 The big catch from 2011 in Rockaway Beach. 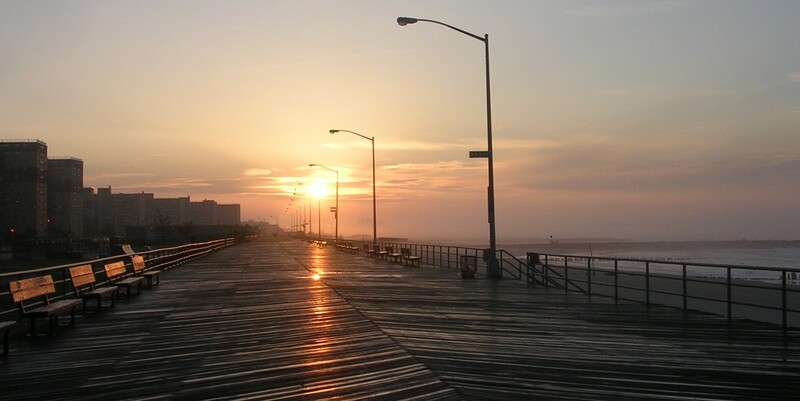 First up, Saturday, May 2 from 11 a.m. to 1 p.m., is “Fifth Avenue of the Peninsula: Beach 116th Street and Rockaway Park Into the New Century.” Meet in front of the Beach 116 Street train station at 11 a.m., then we’ll return there at 1 p.m. On the walk, we will explore Rockaway Park’s rich history and main street. We’ll view the 1880’s site of the largest hotel in the world, and grand buildings from the first decades of the 20th century, including the Belle Harbor Yacht Club and the Busto mansion. We’ll see the block where two NYC mayors were sworn in, and pause briefly to contemplate the locations of the neighborhood’s most frightening recent historical events. What does the future hold? Let’s walk, talk and gawk on the Rock! Jane’s Walkers, Rockaway Park, May 2014. 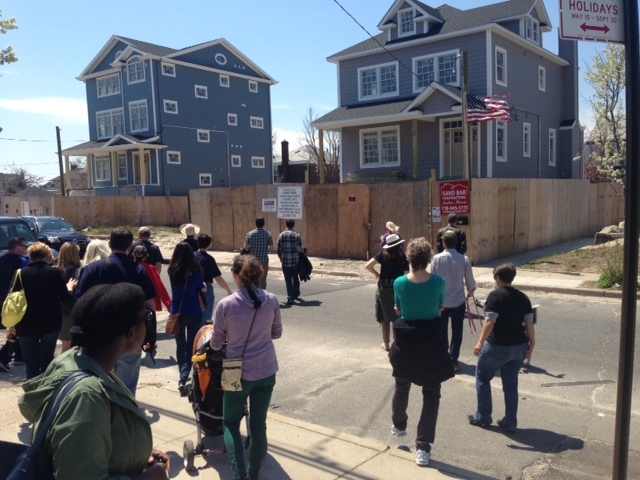 Second walk, Saturday, May 2 from 2 p.m. to 4 p.m., is “Jane Jacobs and Fannie Holland: Pioneers of Different Centuries.” Meet at the Doughboy Memorial (Rockaway Beach Boulevard between Beach 94 and Beach 95 Streets) at 2 p.m., then we’ll return there at 4 p.m. Plenty of time to grab refreshments afterwards at local eateries. 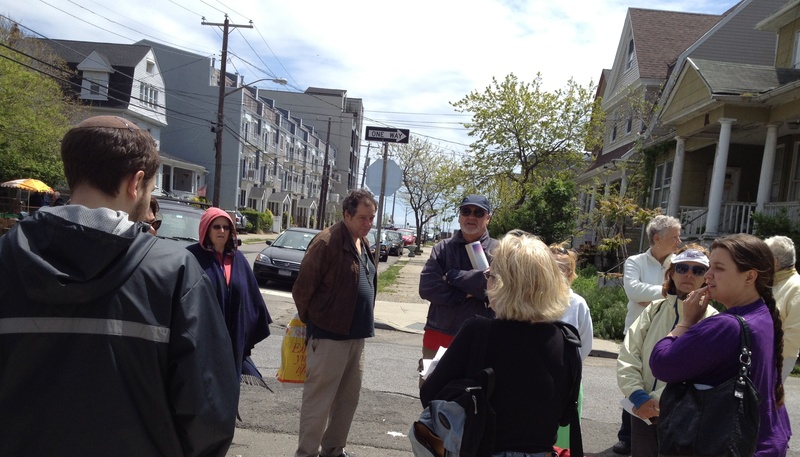 Our walk will explore the historic village of Rockaway Beach and what it has become today. We will visit the sites of its earliest hotel, school, churches, police station, courthouse, and hospital. 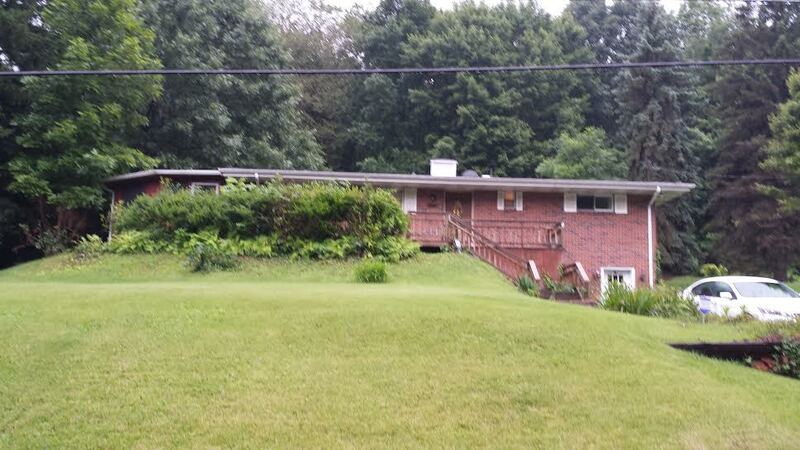 We will pass the sites of historic bungalows and amusement parks. We will conclude with a walk past the present casual food scene. Is Rockaway Beach of today or yesterday a place Jane Jacobs would have liked? Details on Jane’s Walks throughout New York City (including registration for mine) can be found at http://www.mas.org/janeswalk. If you log in to the map view, each stop on the tours is marked with a pin dot. Text copyright 2015 Vivian R. Carter. 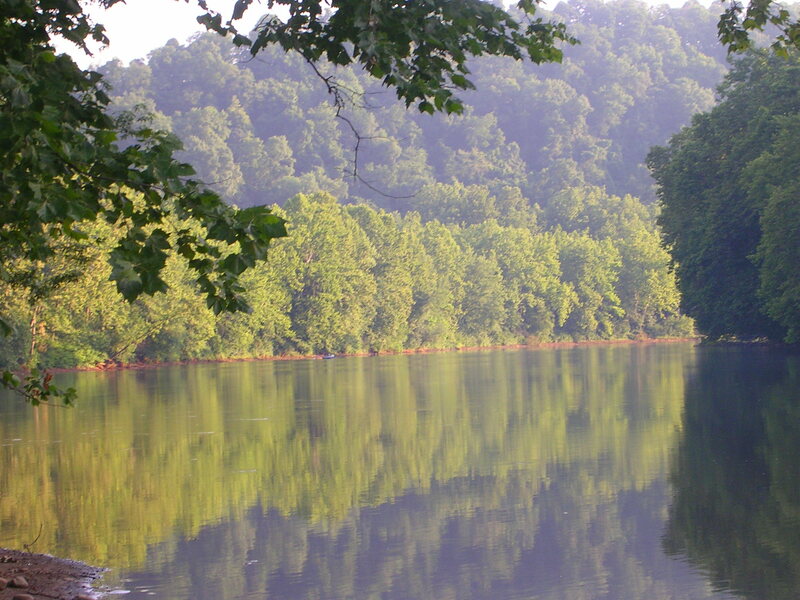 Header photo copyright 2012 Vivian R. Carter. First Jane’s Walk photo in post, copyright 2011 Vivian R. Carter. 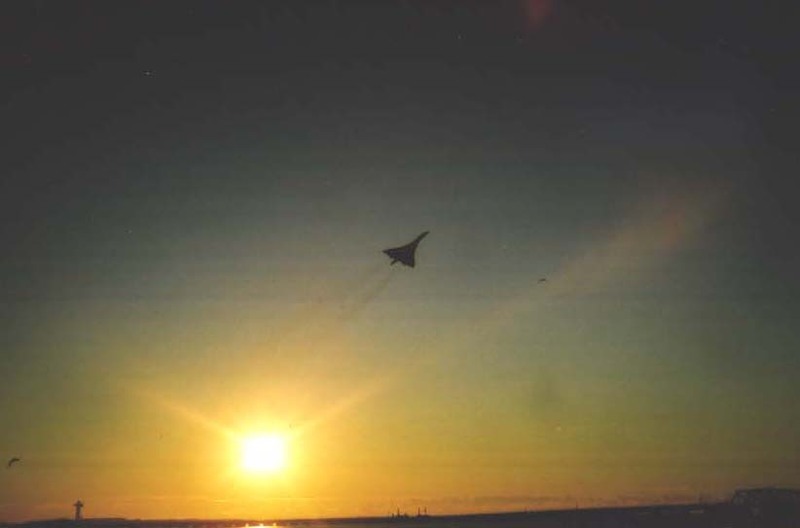 Other photos used with permission of owners. 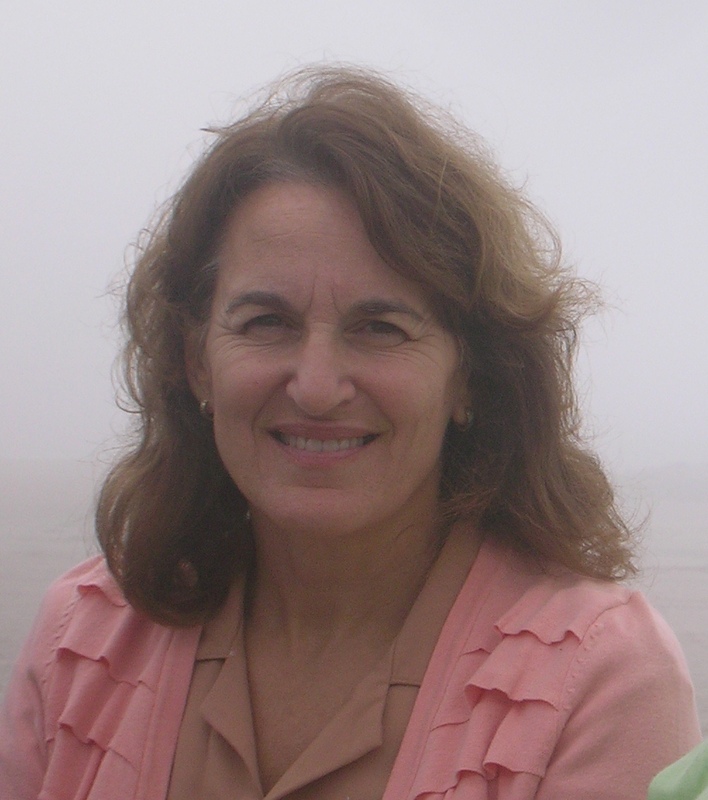 Jill Weber, administrator of Rockaway Parks, recently retired from that position, to work for Hempstead, Long Island parks. She will be greatly missed. The timing of her departure is somewhat unfortunate. In my opinion, Jill ranked very near the top of the list of public officials who served the Rockaways with distinction. The catastrophe wrought by Superstorm Sandy’s storm surge in October 2012, and ineffectiveness of rebuilding efforts by city, state and federal agencies since then, will probably always cloud Jill’s legacy. Yet, I believe that individual administrators are not to blame, but rather, the policies and practices of government agencies as a whole. Jill toiled mightily to support the community and never tried to foist blame for failures onto subordinates. She partnered well with all types of community groups, constantly supporting them, and dived into planning events with enthusiasm. Weber is praised by Queens Borough President Melinda Katz and a bevy of pols and colleagues, 1/8/15. 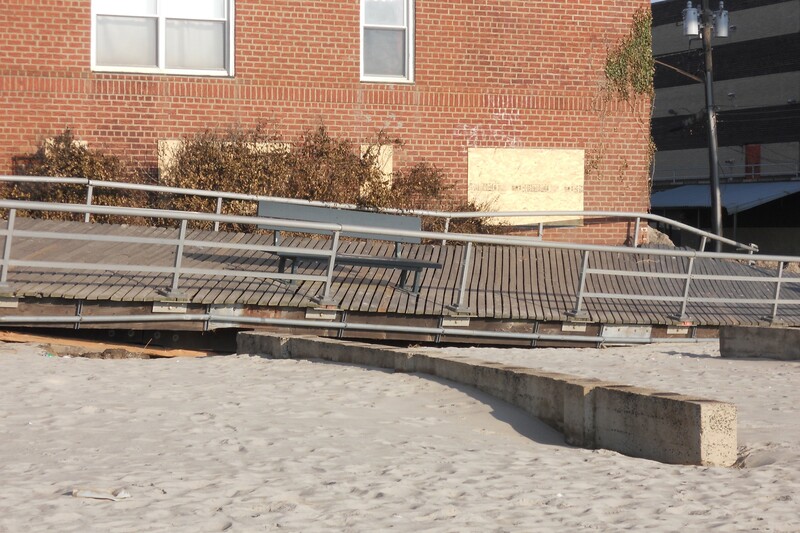 There is much unfinished business for the Parks Department in Rockaway–mainly, the boardwalk. It doesn’t count that with today’s snowstorm, Mother Nature has “partnered” with Parks to give residents many great new recreational opportunities–as in, sledding down the sand berms! Could this make “bus hill” obsolete? Just a friendly reminder — if you or your children sled on the beach, please respect the areas where dune grass is growing. Someday, it may protect our homes. 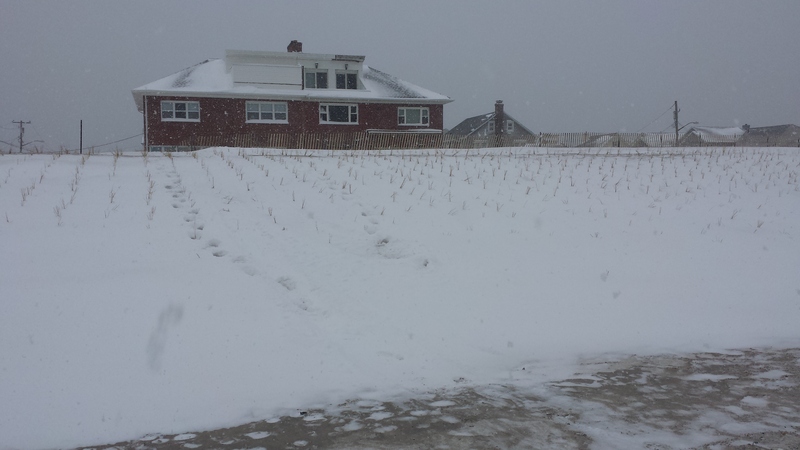 Belle Harbor dunes after snowstorm of 1/27/15. 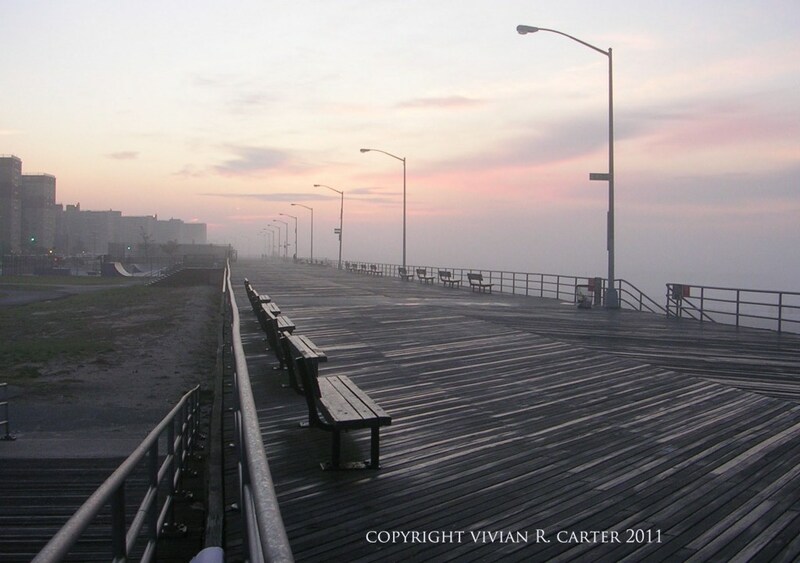 As to the boardwalk, Jill’s retirement filled me with nostalgia about the pre-Sandy era. A snowy day is a good time to be creative, so I’ve written a parody of Gordon Lightfoot’s legendary ballad about the sinking of ‘The Edmund Fitzgerald.’ We want our seaside hangout back, soon! The ocean it’s said, never gives up her dead when the waves of October turn gloomy. Our boardwalk, rough hewed, was a bone to be chewed, when the tides of October came foaming. As seaside parks go, it was bigger than most, with a crew and a captain most pleasing. Concluding some terms with the great foodie firms, at the start of the 2012 season. Then later that summer, when the tourists got humming, could it be that a storm surge was coming? But very few knew, from Bloomberg to Liu, that a mighty big storm surge was rolling. 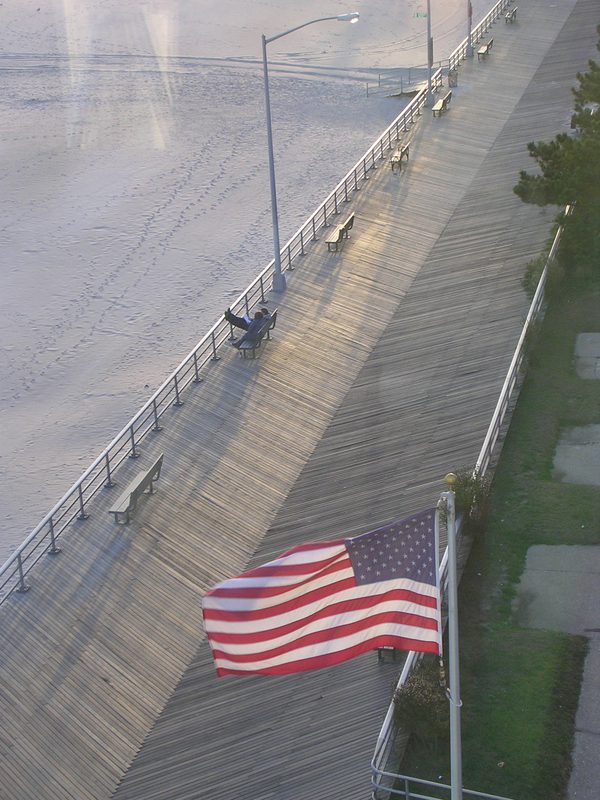 When afternoon came there were crowds on the way to the wreck of the Rockaway Boardwalk. Jill Weber at Tribute Park, copyright 2011 Vivian R. Carter. By 9 p.m.,the goodbyes had been said, and all of the plaques were presented. But later that night after all had a chance to gift her, some still hummed that song by the Drifters. There are some who will say the park would be here today if more sand had been thrown on the shoreline. And all that remains is the berms and trap bags and a couple of dunes out in Arverne. 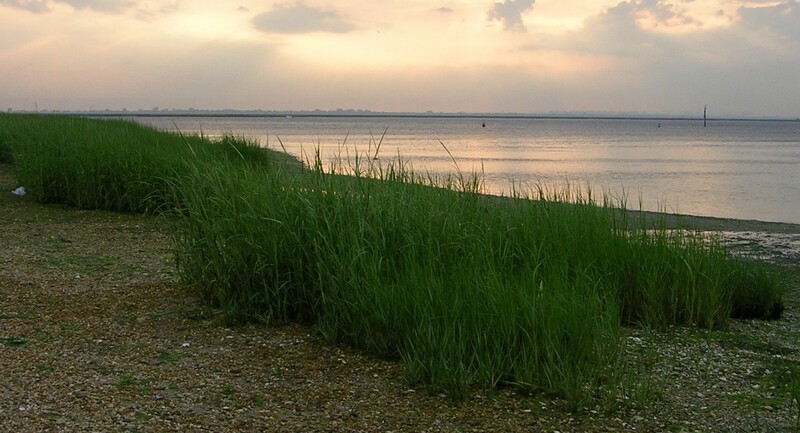 Jamaica Bay steams like a young man’s dreams, her islands and bays are for sportsmen. And the tourists will go, as the locals all know with the storms of the autumn remembered. The sirens rang long for each wind-whipped wave, for each piece of the Rockaway Boardwalk. The ocean, it’s said, never gives up her dead, ‘til the boardwalk planks start returning. Header photo, song parody and text of posting, copyright 2015 Vivian R. Carter. All other photos copyrighted as noted above. Late on Friday, November 7, CNN announced that the U.S. Attorney for the Eastern District of New York, Loretta Lynch, had been tapped by the White House to serve as the new Attorney General of the United States. By noon on Saturday, President Barack Obama had formally nominated Lynch at a Roosevelt Room press conference. To be frank, she is not much of a partisan, and did not have the inside track to the job, prior to the mid-term elections. But by November 5, it seems that ‘non-partisan’ had become a key qualification for the A.G. candidate, and Lynch was at the top of the list. 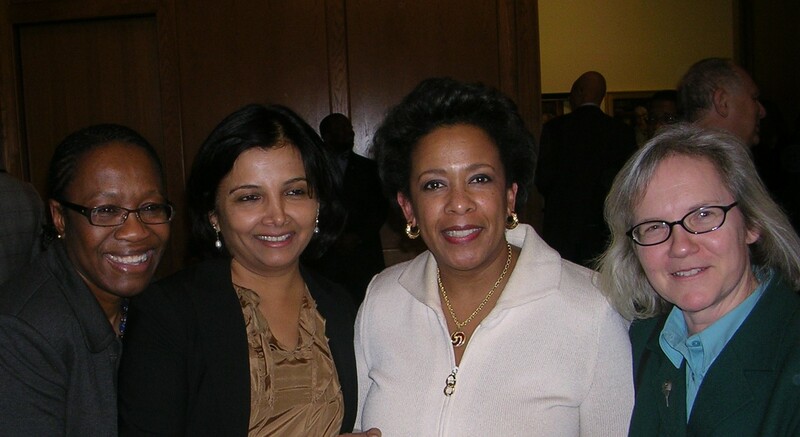 Friends and colleagues congratulate Loretta (in white dress) after her 2010 installation as U.S. Attorney. Obama thanked Loretta’s family for agreeing to share her with the people of the United States a bit longer. The residents of the outer boroughs she served so well (and where she lived for decades) will miss her presence, as well. I was privileged to work at the same law firm with Loretta in the late 1980’s, and we have remained friends ever since. With fierce dedication to her brilliant career, she put marriage and children on the back burner for a really long time. The rest of us had spouses and children; Loretta was a big law firm partner and Federal Reserve Board member, instead. Eventually, she did wed Steve Hargrove, when she was well past the age of forty, and now enjoys being stepmother to his two grown children. 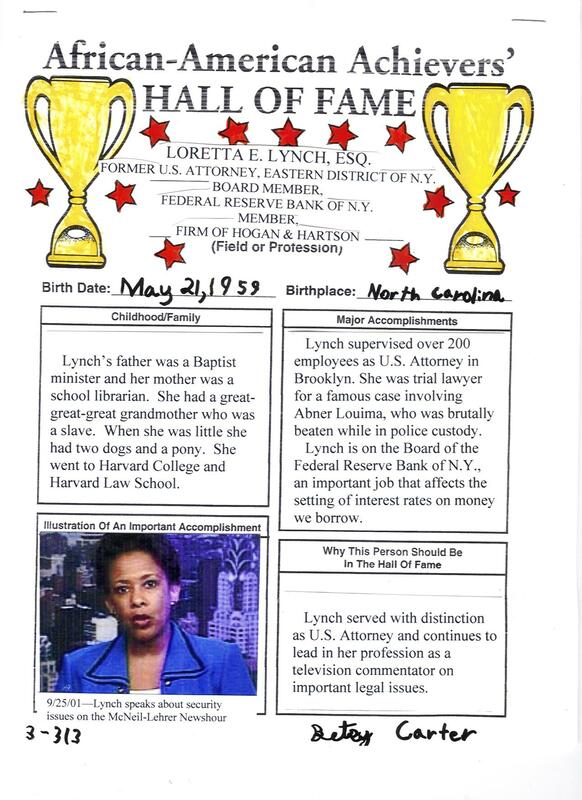 Ten years ago, after Loretta had completed her first stint as U.S. Attorney during the Clinton administration and was a busy law firm partner, she graciously agreed to be the subject of my daughter’s third-grade Black history month poster. Selection for the “African American Achievers’ Hall of Fame” on a bulletin board at PS 114 in Belle Harbor was just one small honor along the way, for a woman who has never sought the limelight. In fact, she is so low-key and non-political that when the Presidential election debates were held at Hofstra Law School in Hempstead, Long Island in fall 2012, two years into her second term sitting as U.S. Attorney, she did not even appear on the podium, or near the front, as you’d expect of a dignitary. Instead, she sat in the upper tier of seats. Quite a statement about her humility. Feeling safe in our communities? Lynch has done far more for Long Island and the three outer boroughs she serves than many people realize. We have a healthy share of corrupt politicians in these parts, and Loretta Lynch went after them all, regardless of their party, including Pedro Espada and Michael Grimm. 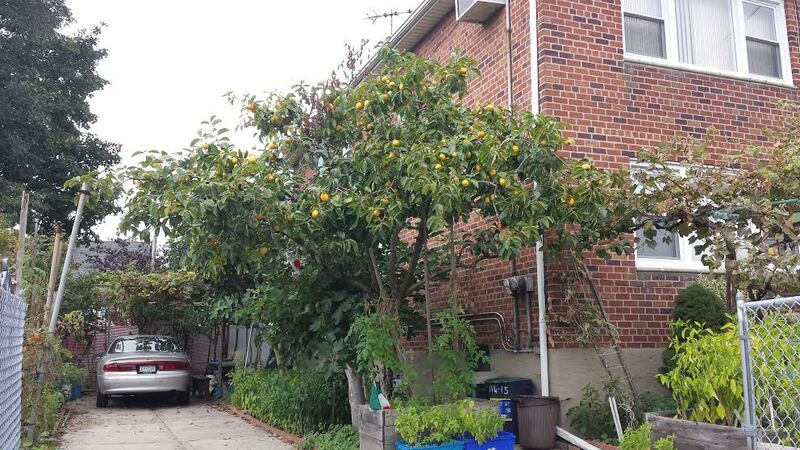 Drug gangs are sadly, endemic to Rockaway–she shut many of those down, too. Until her office came in to investigate and prosecute, one group of dealers was ensconced for years on the very block of Beach 87th Street in Rockaway Beach that is now home to the Rockaway Beach Surf Club. Just three years ago, a walk down that block was a slightly scary proposition. Today the hipsters can wander safely from beach to bay along that stretch, thanks in part to the federal prosecutors of the Eastern District. I often think back to summer 2012–remember the cache of weapons and explosives found in a garage in Rockaway Park, and the string of three bank robberies at the spanking-new Arverne Chase Manhattan bank branch? The Eastern District prosecutors sent all of those characters to jail, as well. Just days before Superstorm Sandy, I sent an email to Loretta complimenting her but expressing concern that she and her staff must be seriously sleep-deprived, having accomplished so much in such a short period of time. Loretta’s extraordinary intelligence, sensitivity, and poise will serve her well in this position. Her tireless work to insure justice for the people of New York always fills me with pride and a sense of hope for the future. I have faith that the Senate will see it the same way, when they are asked to confirm her nomination. Text copyright Vivian R. Carter 2014. Photo of courthouse (in header and within post) copyright Vivian R. Carter 2011, installation photo copyright Vivian R. Carter 2010, poster copyright Elizabeth M. Carter 2004.